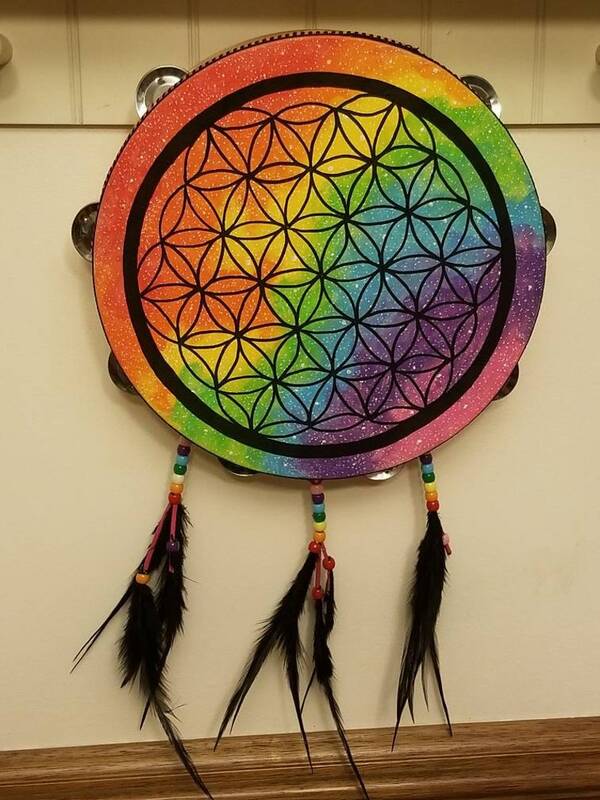 Ready to Ship Hand painted 10" Tambourine Flower of Life Rainbow Galaxy Dream Catcher. This tambourine is hand painted in acrylic and embellished with beads, feathers, and leather cords. The stars in the galaxy glow under a black light. This tambourine, while lightly playable, is sold as art. 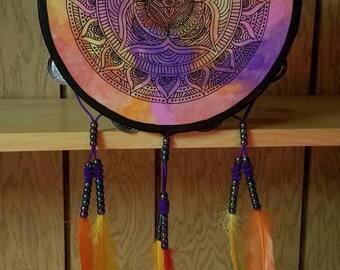 Playing too vigorously can damage the embellishments that make it a dreamcatcher. 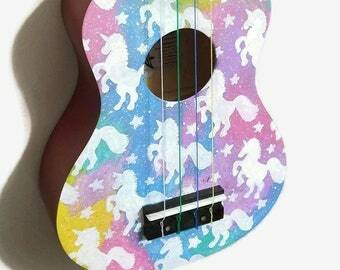 See my collection of hand painted instruments!